MINNEAPOLIS (June 23, 2017) – Padilla has been recognized as a 38th Annual Telly Award Winner, earning two Bronze Tellys for its Niagara Conservation campaign, #WhatTheFlush: Disrupting the Water Conservation Conversation. Earlier this year, Padilla earned multiple awards for its work with Niagara Conservation, including a Silver Anvil Award presented by the Public Relations Society of America, a Gold SABRE Award and North America In2SABRE Award given by The Holmes Report, and two PRWeek Honorable Mention Awards. 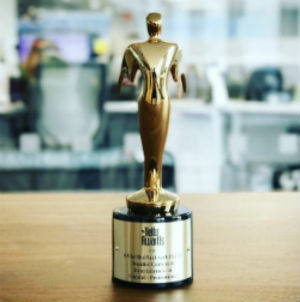 Founded in 1979, the Telly Awards is the premier award honoring outstanding content for TV and Cable, Digital and Streaming and Non-Broadcast distribution. Over 12,000 entries from all 50 states and five continents were judged by top advertising and production professionals that have previously won a Silver Telly. The Bronze Telly Award winners represent the top 25 percent of entrants. Learn more about the Telly Awards and view the complete list of Telly winners at tellyawards.com.